In February, we blogged about the challenge of helping extension users maintain their safety and security while preserving their ability to choose their browsing experience. The blog post outlined changes to the ecosystem to better protect users, such as making them more aware of the risks associated with extensions, reducing the visibility of extensions that haven’t been vetted, and putting more emphasis on curated extensions. 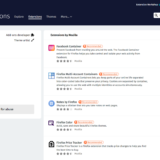 One of the ways we’re helping users discover vetted extensions will be through the Recommended Extensions program, which we’ll roll out in phases later this summer. This program will foster a curated list of extensions that meet our highest standards of security, utility, and user experience. Recommended extensions will receive enhanced visibility across Mozilla websites and products, including addons.mozilla.org (AMO). We anticipate the eventual formation of this list to number in the hundreds, but we’ll start smaller and build the program carefully. We’re currently in the process of identifying candidates and will begin reaching out to selected developers later this month. You can expect to see changes on AMO by the end of June. How will Recommended extensions be promoted? On AMO, Recommended extensions will be visually identifiable by distinct badging. Furthermore, AMO search results and filtering will be weighted higher toward Recommended extensions. 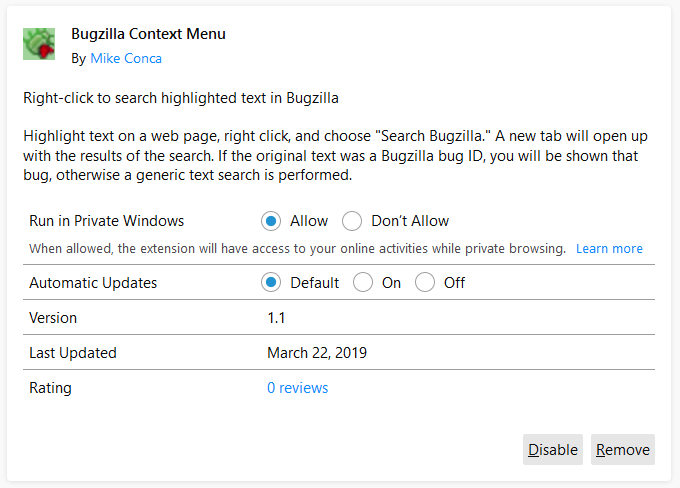 Recommended extensions will also supply the personalized recommendations on the “Get Add-ons” page in the Firefox Add-ons Manager (about:addons), as well as any extensions we may include in Firefox’s Contextual Feature Recommender. How are extensions selected to be part of the program? Editorial staff will select the initial batch of extensions for the Recommended list. In time, we’ll provide ways for people to nominate extensions for inclusion. Is the extension really good at what it does? All Recommended extensions should not only do what they promise, but be very good at it. For instance, there are many ad blockers out there, but not all ad blockers are equally effective. Does the extension offer an exceptional user experience? Recommended extensions should be delightful to use. Curators look for content that’s intuitive to manage and well-designed. Common areas of concern include the post-install experience (i.e. once the user installs the extension, is it clear how to use it? ), settings management, user interface copy, etc. Is the extension relevant to a general audience? The tightly curated nature of Recommended extensions means we will be selective, and will only recommend extensions that are appealing to a general Firefox audience. Participation in the program will require commitment from developers in the form of active development and a willingness to make improvements. How will the list be maintained? It’s our intent to develop a Recommended list that can remain relevant over time, which is to say we don’t anticipate frequent turnover in the program. The objective is to promote Recommended extensions that users can trust to be useful and safe for the lifespan of the software they install. We recognize the need to keep the list current, and will make room for new, emerging extensions. Firefox users want the latest, greatest extensions. Talented developers all over the world continue to find creative ways to leverage the powerful capabilities of extensions and deliver fantastic new features and experiences. Once the program launches later this summer, we’ll provide ways for people to suggest extensions for inclusion in the program. Will the community be involved? We believe it’s important to maintain community involvement in the curatorial process. The Community Advisory Board—which for years has contributed to helping identify featured content—will continue to be involved in the Recommended extensions program. We’ll have more details to share in the coming months as the Recommended extensions program develops. Please feel free to post questions or comments on the add-ons Discourse page. Do you use VPN? This extension prevents your IP address from leaking through WebRTC. Gain protection against a particular type of attack that occurs through Cascading Style Sheets (CSS). Take full control of the cookies you’ve accumulated while browsing. Prevent Amazon from tracking your movements around the web. 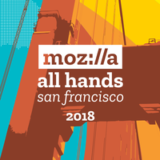 If you’d like to nominate an extension for featuring, please send it to amo-featured [at] mozilla [dot] org for the board’s consideration. We welcome you to submit your own add-on! There are a couple of major changes coming to Firefox. One is in the current Beta 67 release, while the other in the Nightly 68 release, but is covered here as an early preview for extension developers. The biggest change in release 67 is Firefox now offers controls to determine which extensions run in private browsing windows. Prior to this release, all extensions ran in all windows, normal and private, which wasn’t in line with Mozilla’s commitment to user privacy. Starting with release 67, though, both developers and users have ways to specify which extensions are allowed to run in private windows. For extension developers, Firefox now fully supports the value not_allowed for the manifest `incognito` key. As with Chrome, specifying not_allowed in the manifest will prevent the extension from running or receiving events from private windows. The Mozilla Add-on Policies require that extensions not store browsing data or leak identity information to private windows. Depending on what features your extension provides, using not_allowed might be an easy way to guarantee that your extension adheres to the policy. Note that Chrome’s split value for incognito is not supported in Firefox at this time. There are significant changes in Firefox’s behavior and user interface so that users can better see and control which extensions run in private windows. Starting with release 67, any extension that is installed will be, by default, disallowed from running in private windows. The post-install door hanger, shown after an extension has been installed, now includes a checkbox asking the user if the extension should be allowed to run in private windows. To avoid potentially breaking existing user workflows, extensions that are already installed when a user upgrades from a previous version of Firefox to version 67 will automatically be granted permission to run in private windows. Only newly installed extensions will be excluded from private windows by default and subject to the installation flow described above. There are significant changes to the Add-ons Manager page (about:addons), too. First, a banner at the top of the page describes the new behavior in Firefox. This banner will remain in Firefox for at least two releases to make sure all users have a chance to understand and get used to the new policy. In addition, for each extension that is allowed to run in private windows, the Add-ons Manager will add a badge to the extension’s card indicating that it has this permission, as shown below. The lack of a badge indicates that the extension is not allowed to run in private windows and will, therefore, only run in normal windows. To change the behavior and either grant or revoke permission to run in private windows, the user can click on an extension’s card to bring up its details. On the detail page, the user can choose to either allow or disallow the extension to run in private windows. Finally, to make sure that users of private windows are fully aware of the new extension behavior, Firefox will display a message the first time a user opens a new private window. As a developer, you should take steps to ensure that, when the user has not granted your extension permission to run in private windows, it continues to work normally. If your extension depends on access to private windows, it is important to communicate this to your users, including the reasons why access is needed. You can use the extension.isAllowedIncognitoAccess API to determine whether users have granted your extension permission to run in private windows. Note that some WebExtension API may still affect private windows, even if the user has not granted the calling extension access to private windows. The browserSettings API is the best example of this, where an extension may make changes to the general behavior of Firefox, including how private windows behave, without needing permission to access private windows. Finally, there is a known issue where some extensions that use the proxy.settings API require private browsing permission to use that API even in normal windows (all other proxy API work as expected). Mozilla is working to address this and will be reaching out to impacted developers. This is a bit of a teaser for Firefox 68, but after many months of design, implementation and testing, a WebExtensions user scripts API is just about ready. User scripts have been around for a very long time and are often closely associated with Firefox. With the help of a user script extension such as Greasemonkey or Tampermonkey, users can find and install scripts that modify how sites look and/or work, all without having to write an extension themselves. This is a fairly complex feature and we would love for developers to give it a try as early as possible, which is why it’s being mentioned now. Documentation on MDN is still being developed, but below is a brief description of how this feature works. The userScripts API provides a browser.userScripts.register API very similar to the browser.contentScripts.register API. It returns a promise which is resolved to an API object that provides an unregister method to unregister the script from all child processes. It does not support a css property (use browser.contentScripts.register to dynamically register/unregister stylesheets). It supports an optional property, scriptMetadata, a plain JSON object which contains metadata properties associated with the registered user script. The APIScript is executed automatically on any page matched by the userScript.register API called from the same extension. It is executed before the user script is executed. The userScript API also provides a new event, browser.userScripts.onBeforeScript, which the APIScript can listen for. It is called right before a matched user script is executed, allowing the APIScript to export custom API methods to the user script. metadata – The scriptMetadata property that was set when the user script was registered via the userScripts.register API. global – Provides access to the isolated sandbox for this particular user script. defineGlobals – An API method that exports an object containing globally available properties and methods to the user script sandbox. This method must be called synchronously to guarantee that the user script has not already executed. export – An API method that converts a given value to a value that the user script code is allowed to access (this method can be used in API methods exported to the userScript to result or resolve non primitive values, the exported objects can also provide methods that the userScripts code is allowed to access and call). // that is going to be executed. // Explicitly exported objects can also provide methods. 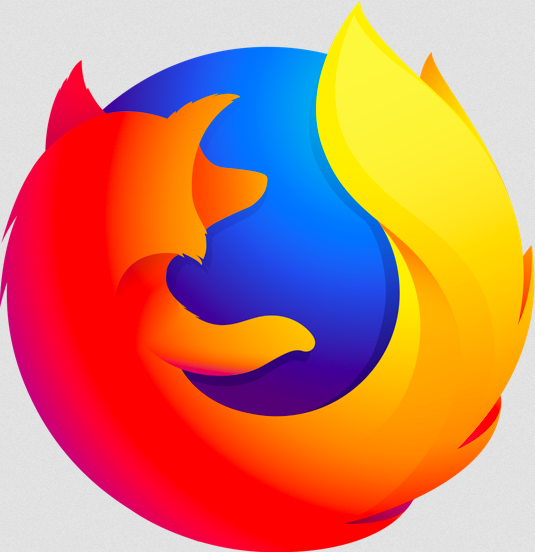 It was a busy release and besides the two major features detailed above, a number of smaller features (and fixes) also made it into Firefox 67. Support for setting storage.managed values via an enterprise policy. Extension context menus now respect any enterprise policy that has restricted the removal of extensions. It is now possible to theme the foreground and background colors of the selected text in the URL bar. Corrected the implementation of runtime.setUninstallURL to honor `null` as an accepted value. Preserved the state of tabs, including lazy loading, when moving between windows. Updated the browser_style CSS to properly style invalid input elements. Prevented the built-in CTRL+Page Up/Down keyboard shortcut from being assigned to an extension. Made the UI for extensions with a lot of keyboard shortcuts much easier to understand and navigate. Any optional permissions granted to extensions are now properly removed when the extension is uninstalled. Match patterns now properly support IPv6 literals. Within the WebExtensions API, a total of 74 bugs were closed in Firefox 67. 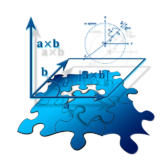 Volunteer contributors continue to be an integral part of the effort and a huge thank you goes out those that contributed to this release, including: Oriol Brufau, Shailja Agarwala, Edward Wu, violet.bugreport and rugk. The combined efforts of Mozilla and its amazing community members are what make Firefox the best browser in the world. Store your passwords securely (via encrypted vaults) and sync across devices. Save complete pages or just portions as a single HTML file. A clever tool for cutting through the gibberish of common ToS contracts you encounter around the web. An advanced reader for aggregating all of your RSS/Atom/RDF sources. Featured: Don’t Touch My Tabs! Don’t let clicked links take control of your current tab and load content you didn’t ask for. Search with enhanced security—tracker blocking, smarter encryption, private search, and other privacy perks. Last September, we announced the next major evolution in themes for Firefox. With the adoption of static themes, you can now go beyond customizing the header of the browser and easily modify the appearance of the browser’s tabs and toolbar, and choose to distribute your theme publicly or keep it private for your own personal use. If you would like to learn about how to take advantage of these new features or are looking for an updated tutorial on how to create themes, you have come to the right place! Designing themes doesn’t have to be complicated. 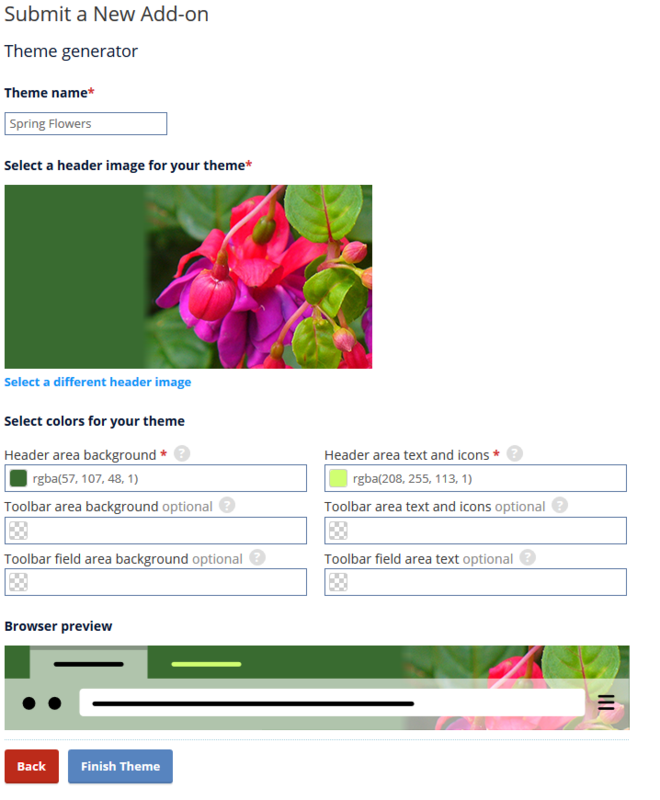 The theme generator on AMO allows users to create a theme within minutes. You may enter hex, rgb, or rgba values or use the color selector to pick your preferred colors for the header, toolbar, and text. You will also need to provide an image which will be aligned to the top-right. It may appear to be simple, and that’s because it is! 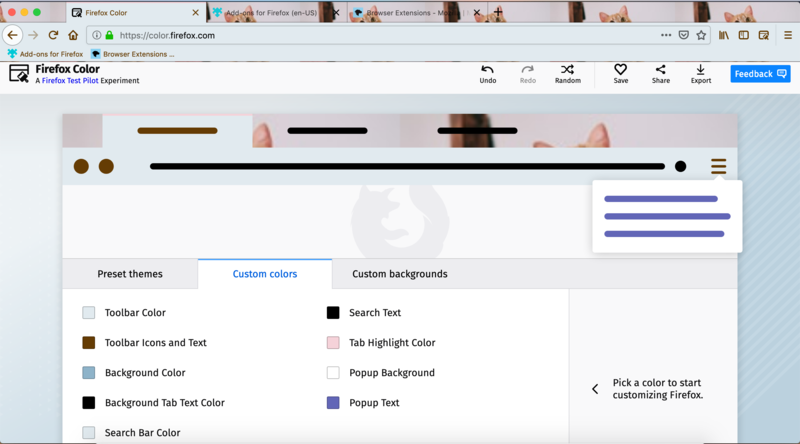 If you want to test what your theme will look like before you submit it to AMO, the extension Firefox Color will enable you to preview changes in real-time, add multiple images, make finer adjustments, and more. You will also be able to export the theme you create on Firefox Color. If you want to create a more detailed theme, you can use the static theme approach to create a theme XPI and make further modifications to the new tab background, sidebar, icons, and more. Visit the theme syntax and properties page for further details. When your theme is generated, visit the Developer Hub to upload it for signing. The process of uploading a theme is similar to submitting an extension. If you are using the theme generator, you will not be required to upload a packaged file. 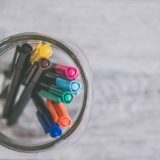 In any case, you will need to decide whether you would like to share your design with the world on addons.mozilla.org, self-distribute it, or keep it for yourself. To keep a theme for yourself or to self-distribute, be sure to select “On your own” when uploading your theme. Whether you are creating and distributing themes for the public or simply creating themes for private enjoyment, we all benefit by having an enhanced browsing experience. With the theme generator on AMO and Firefox Color, you can easily create multiple themes and switch between them. Firefox 66 is currently in beta and, for extension developers, the changes to the WebExtensions API center primarily around improving performance, stability, and the development experience. A total of 30 issues were resolved in Firefox 66, including contributions from several volunteer community members. I want to start by highlighting an important change that has a major, positive impact for Firefox users. Starting in release 66, extensions use IndexedDB as the backend for local storage instead of a JSON file. This results in a significant performance improvement for many extensions, while simultaneously reducing the amount of memory that Firefox uses. This change is completely transparent to extension developers – you do not need to do anything to take advantage of this improvement. When users upgrade to Firefox 66, the local storage JSON file is silently migrated to IndexedDB. All extensions using the storage.local() API immediately realize the benefits, especially if they store small changes to large structures, as is true for ad-blockers, the most common and popular type of extension used in Firefox. The video below, using Adblock Plus as an example, shows the significant performance improvements that extension users could see. Another improvement was landed in Firefox so that it uses less memory when extensions load objects from storage into memory. The “Manage Extension Shortcuts” page now uses a default icon if no icon was included in the manifest file. Fixed a case where the window.close() API was not properly closing browser extension popups. Extension ports are no longer disconnected when switching tabs in Responsive Design Mode. By-passing tracking protection now works for domains listed as host permissions when those domains are used as iframes within an extension page. The permissions prompt no longer appears when newly added host permissions are a subset of host permissions that have already been granted. Bookmarks context menu items, added in Firefox 59, now also appear in the bookmarks sidebar and library window. Manifest files with no specified default icon now throw an error. Firefox no longer emits a warning when the manifest property `background.persistent` is set to `true`. Thank you to everyone who contributed to the Firefox 66 release, but a special thank you to our volunteer community contributors, including: tossj, Varun Dey, and Edward Wu. Select text to quickly search the phrase from an array of engines. Simply highlight text, right click, and select Word Count to easily do just that. Please meet our newest Friend of Add-ons, Shivam Singhal! 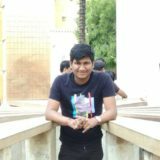 Shivam became involved with the add-ons community in April 2017. Currently, he is an extension developer, Mozilla Rep, and code contributor to addons.mozilla.org (AMO). He also helps mentor good-first-bugs on AMO. In his free time, Shivam enjoys watching stand-up comedy and sci-fi web series, exploring food at cafes, and going through pull requests on the AMO frontend repository. Thanks for all of your contributions, Shivam! Your enthusiasm for the add-ons ecosystem is contagious, and it’s been a pleasure watching you grow. To learn more about how to get involved with the add-ons community, check out our Contribute wiki. Save memory usage by automatically hibernating inactive tabs. Enhance the safety and speed of your browsing experience by blocking malicious websites like fake tech support scams and hidden cryptocurrency miners. In lieu of the normal, detailed review of WebExtensions API coming out in Firefox 65, I’d like to simply say thank you to everyone for choosing Firefox. Now, more than ever, the web needs people who consciously decide to support an open, private, and safe online ecosystem. Two weeks ago, nearly every Mozilla employee gathered in Orlando, Florida for the semi-annual all-hands meeting. It was an opportunity to connect with remote teammates, reflect on the past year and begin sharing ideas for the upcoming year. One of the highlights was the plenary talk by Mitchell Baker, Chairwoman of the Mozilla Foundation. If you have not seen it, it is well worth 15 minutes of your time. Mitchell talks about Firefox continually adapting to a changing internet, shifting its engagement model over time to remain relevant while staying true to its original mission. Near the end, she notes that it is time, once again, for Mozilla and Firefox to evolve, to shift from being merely a gateway to the internet to being an advocate for users on the internet. Extensions will need to be part of this movement. We started when Firefox migrated to the WebExtensions API (only a short year ago), ensuring that extensions operated with explicit user permissions within a well-defined sandbox. In 2018, we made a concerted effort to not just add new API, but to also highlight when an extension was using those API to control parts of the browser. In 2019, expect to see us sharpen our focus on user privacy, user security, and user agency. Thank you again for choosing Firefox, you have our deepest gratitude and appreciation. As a famous Mozillian once said, keep on rockin’ the free web. A huge thank you to the community contributors in this release, including: Ben Armstrong, Oriol Brufau, Tim Nguyen, Ryan Hendrickson, Sean Burke, Yuki “Piro” Hiroshi, Diego Pino, Jan Henning, Arshad Kazmi, Nicklas Boman.